The Speech of the Unsaid? Gov. May Fallin’s halting and stumbling state of the state speech-she lost her place more than once as she read her prepared remarks-should be noted for what it didn’t say as much as what it did. This is not to necessarily pick on Fallin’s oratory skills too much, but in terms of delivery it was not one of her finest speeches and, in terms of content, it undoubtedly left some of the state’s ultra-conservatives and, of course, most progressives highly disappointed. The speech on Monday had been publicized enough for people to know Fallin was going to recommend a small income tax cut without offsets, which the state cannot afford, and, contrarily, more money for some health programs. This is what she did, dishing out the typical Republican, “starve-the-beast” fare, and I will comment on this later, but what she didn’t say spoke volumes as well. In what had to be a disappointment for the GOP’s uber-conservative legislators or what some are now calling its fringe element, Fallin held back on the President Barack Obama hatred, the Second Amendment fanaticism and the support for legislative religious-based initiatives, including anti-abortion efforts and the attack on science in schools. Note carefully that I wrote “held back.” There were only two references to Obama by name. Both criticized his expansion of Medicaid. There was a general reference to partisan gridlock and the so-called better “Oklahoma Way” (yes, Way was capitalized in the written version of the speech and, yes, it seems cultish), but it lacked any reference to Obama specifically. This whole trope about how Washington can learn from Oklahoma has never had any credibility, and it still doesn’t. There was a reference about “jeopardizing our freedoms, like our right to keep and bear arms,” but it was short and innocuous. I couldn’t find a single reference to the Second Amendment in the speech. Meanwhile, besides a short, obligatory reference to women’s wombs, as in “we must provide better care for children in the womb and at birth,” Fallin didn’t give the anti-abortion fanatics, who have floated the controversial Personhood bill again this session, much to cheer about. The downplaying of Obama hatred, Second Amendment fanaticism and anti-abortion rhetoric had to be a disappointment to the more conservative members of the GOP-dominated legislature, which has veto-proof majorities. On the progressive side, the lack of empirical evidence and basic logic in the speech, especially surrounding Fallin’s financial proposals, were especially disheartening. Fallin, for example, wants to lower the top income tax rate from 5.25 percent to 5 percent without any offsets. I’ve seen estimates that this could cost the state budget from $100 to $140 million a year. She also made the point that the top rate kicks in at the income level at $8,700, presumably to argue how important it is that lower-income residents will benefit from the cut. In her speech, Fallin left out the answer to these questions: If the state cuts a major revenue stream again, isn’t it imprudent to allocate additional dollars for health programs until we see how the tax cut will affect the state budget? How is such a cut responsible governance? The reference to those people with lower incomes brings up another question. If Fallin is so concerned about low-income people, why doesn’t she simply recommend the state raise the income level at which the top rate kicks in? She would never say it in these words because of its crassness, but it’s obviously because the tax cut is designed to benefit the wealthiest Oklahomans. Of course, last year, Fallin wanted a much steeper income tax cut and a rewrite of the state’s overall tax code, but that turned into a swamp of special interests and ideological posturing and what happened was nothing. Fallin had nothing to say about that GOP failure in her speech either. 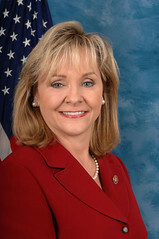 Progressives should praise Fallin for her focus in the speech on rectifying “the continued poor health of Oklahoma and its families” and for recommending more money for mental health issues, but her recent rejection of Medicaid funds from the federal government is a historical blunder. Fallin also left out any mention of how education funding has drastically declined in recent years because of Republican-sponsored tax cuts and the Great Recession. Finally, Fallin offered up a paltry $10 million to begin fixing the crumbling state Capitol and its sewage problems. It will probably take $150 million or more to make the repairs. Fallin had indicated previously the legislature should consider using bond money to repair the building right away. She didn’t mention in the speech why she had changed her mind, though GOP opposition to it was undoubtedly the reason. In an ad-lib moment of the speech, Fallin called attention to state Rep. Richard Morrisette, an Oklahoma City Democrat. Morrisette has rightly called for fixing the building right now, even if it means dipping into the state’s $600 million Rainy Day fund. Fallin joked that “Richard” must like smelling the sewage stench at the Capitol. On television, the camera panned to Morrisette and the moment came off as extremely awkward, if not an outright cheap shot. Morrisette wants to actually do something significant to fix the Capitol while Fallin has apparently given up on the project to appease members in her own party. Fallin then said something like, “just kidding, buddy” after the public teasing. It was a weird moment. Here’s a another question left unanswered by Fallin: Does the stench of Republican hubris and irresponsible governance only add to the sewage smell, making the Capitol one stinky mess these days? Just kidding . . . ? « Will GOP Conflict Define 2013 Legislative Session?